Despite they’re the poorest side in Premier and were tipped to be stuck for the bottom at the end of the season without too much points on the balance, Blackpool have noticed a decent start in the top crew. They have combat spirit and don’t respect anyone. They attacked Liverpool at Enfield and won (maybe never worse, but still it’s Liverpool), but on the other hand they have probably worst defense in Premier. They simply can’t hold the things tight, if they don’t score will concede soon. Just on Man Utd’s games were seen more goals, they went over 2.5 in 7 of their 9 league games (two were 2-0) and all of their last 4 mutual games. Skipper and key player, Charlie Adam, is in a doubt for the game. If the Seasiders are noticing a decent start, WBA are doing a dream one. They have 15 points and sounds unreal they’re two points far from Champions League! The characteristic that also applies to them is they’re playing without too much respect. The Baggies defeated Man City, Arsenal away, came from two behind at Old Trafford and don’t have a single defeat in last 8 competitive games! Striker Odemwingie and midfielder Morrison are in doubt, while duo Marc-Antoine Fortune and Jonas Olsson are back in contention. WBA have won their last four league games against Blackpool, scoring a total of 11 goals. I’m sure both sides fancy their chances tonight. Blackpool want to turn the corner (if that is possible however) after four defeats in last five games. 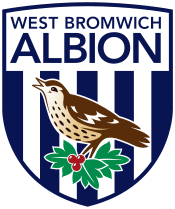 WBA are on fire and will try to keep their recent run. Both sides carry an attacking style of play, won’t show too much respect (as usual) and I don’t think there’s a chance to cancel each other and play a boring game. Goals are very likely.